UV’s Jade Tagab placed third while University of Cebu’s (Lapu-Lapu and Mandaue) Hannah Lei Pulvera placed fourth. CEBU, Philippines — In the elementary level three graduates from Cebu schools made it big in the March 2018 Licensure Exam for Teachers (LET) with an alumna of the University of the Visayas leading the pack. Tagab earned a rating of 88 percent while Pulvera earned a rating of 87.8 percent. Meanwhile in the secondary level, University of San Jose - Recoletos’ Ruel Yu placed 10th with a rating of 90.6 percent. Pulvera, a native of Liloan, attributes her success to determination and perseverance. She said it has always been her dream to become a teacher. “I feel comfortable in teaching. It makes me happy, as well, seeing my students being grateful and motivated to apply what I have taught them. Seeing them smile or saying thank you, these are just some of those simple but priceless moments,” she said. The Freeman could not reach Yu for comment yesterday. 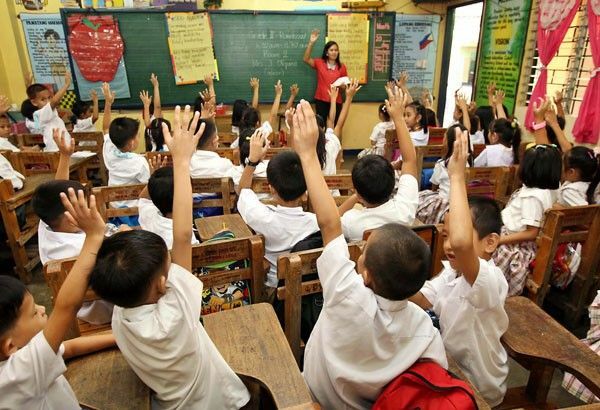 Of the 58,323 examinees in the elementary level, only 13,774 passed the exam. In the secondary level, 22,936 of 76,673 examinees passed the exam. Dr. Nerissa Lopez, dean of UV’s College of Education, said they always aim to top the exam. “We continue to see to it that our graduates will become one of the topnotchers. We never stopped aiming for that goal, and this success by our student will serve as our motivation to do our best,” she said. She only had kind words for Tagab whom she described as unassuming and prayerful. What is admirable about Tagab, Lopez said, is her continued determination to beat the odds. The San Fernando native pursued school while battling cancer. Lopez said Tagab had to stop for one semester for health reasons but she pressed on until she completed her degree in November last year. Due to monetary constraints, Tagab decided to study on her own or shared notes with classmates who were able to enroll in review centers. “This is a collaborative effort of the faculty and the administration. Sir Eddie (UV President Eduardo Gullas) and Sir Dodong (UV Executive Vice President Jose Gullas) have always wanted that UV will be recognized by producing graduates that will top the board exam,” she said. UV has topped the teachers board since 2010 but missed the Top 10 in 2016 and 2017. Sir Dodong, for his part, described Tagab’s achievement as a “dream come true” and an early gift to the university, which will celebrate its centenary next year. “I have always been telling all the deans of UV to produce topnotchers and bar topnotchers. This is really a dream come true and I am so proud,” he said.